View of the lecture hall, 10th conference. Illustration photo. My story is not about the so-called miraculous healing of serious and complicated health problems that we usually hear here, it is a story of a normal autopathy user. In spite of this, I consider the stepping of autopathy into my life to be a small miracle, or perhaps even a big one. I do not want to address only those present but would like to pass on what I hope is useful information also to those, to whom autopathy is being recommended, to whom we want to help with autopathy and are also doing so. I would like to summarise from own experience the concept of benefits of autopathy not only from the physiological side, but also the psychological one. My way to autopathy was not sudden, it had not started immediately. My whole life – as far as health is concerned – I have not been lacking anything. First when I became 60, and especially afterwards, some problems appeared. Although I already had certain problems with my legs in the past, it was only at the beginning of the summer 2011, when an arthrosis in my right knee demonstrated itself fully. I was desperate. I suffered from great pain when walking, I could move only very slowly and with difficulties. In almost half a year the situation got somewhat better, I visited an orthopaedist, got medicaments and from this time onwards had been taking Diclofenac Duo 75 once a day, walking became easier, more steady and quicker, but still slow. I started to use a walking stick for stability. My condition relatively stabilized itself and for the next three years, gradual slight improvement followed. Then came the end of the year 2014 and problems with the Achilles’ heel of the left leg. The pain was initially slight, but in the spring of 2015 it became rather intensive. I felt I must be looking comical with my pained limping – in the right leg the arthritic knee, in the left leg the Achilles’ heel. At this time, I also had problems with venous ulcers, first on the right leg, then in the summer also on the left one. I had to go regularly to my physician to have the legs checked and bound. At that time there was an unbearable heat wave, which made my situation worse. It all culminated at the end of August 2015, when I tripped with my left leg on a small metal protrusion on smooth marble floor, turned by 90 degrees and although I regained my stability and had not fell down, my pains subsequently increased, the difficulties with walking increased and cramps in the left leg joined the other problems. This went for several days, until I had finally made the decision. On the 1st of September 2015, I had managed to make an appointment with Mr. Jiri Cehovsky, which took place two weeks later, on the 15th of September 2015. I had already the two books about autopathy by Mr. Cehovsky and so I told myself that before the appointment I will not remain idle. Without much deliberation I chose the simple Korsakov’s method with the bottle screw cap and started using it immediately on the next day after having made the appointment, on the 2nd of September, and used it every day after that. I have left it out perhaps twice, but about two days before the consultation, I ascertained to my considerable surprise when putting my shoes on, that during the last two days I have for no apparent reason stopped using a splint for the Achilles’ heel and what is more, that after three quarters of a year, the pain had gone, and I can say even today that the pain never came back again. I started to believe in the mighty force of autopathy, even when realized in such a simple form as is the Korsakov’s method. At this point I have to go at least one year back. 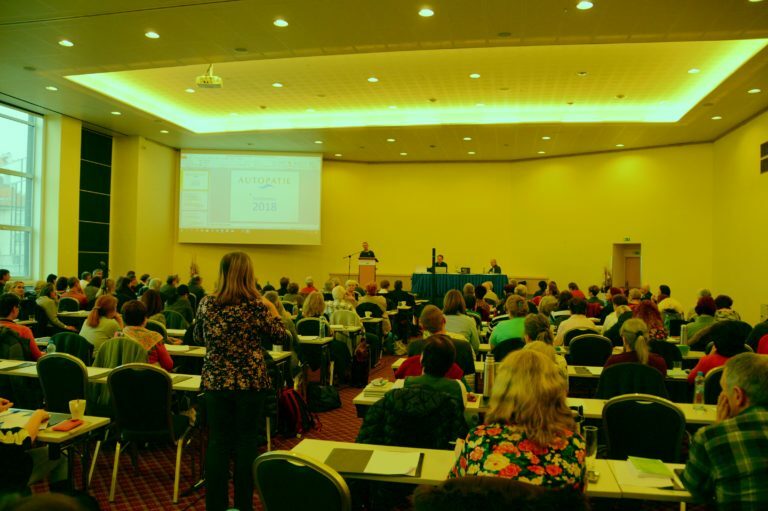 I knew a little about autopathy since autumn of 2014, I even visited one of the seminars and a conference about autopathy. Autopathy suited me not only philosophically, spiritually and intuitively, but also logically, but, as you know, as long as one does not feel really bad and he can manage somehow, one does not undertake anything decisive. Only worsening and cumulation of older and newly developed problems forced me to take autopathy seriously and what is more, realistically. And how did it develop? In the autumn of 2015, in a series of consultations with Mr. Cehovsky on average once in three months, I started with 3 litres of non-boiled breath once a week, the potency was gradually increased by 1,5 till 3 litres, breath was joined by boiling it, and finally by boiled saliva. The most of the last year, almost to its end, I have been using a dilution from the combination of boiled saliva and breath. Later I will mention the achieved level of potency and its changes. In the process of the systematic use of autopathy over two and a half years, I have received a confirmation about the undisputed role of intuition in autopathy. Intuition – sit venia verbo, excuse the word – has been “creeping” into my autopathic efforts more and more. It started last year at the turn of the month from June to July, when I decided out of the blue that I will return from 15 litres to 13 litres of boiled saliva-breath. (Amongst other things, it confirmed the finding about suitability and benefits of long-term application of potency of 13 litres in the case of persons of relatively advanced age, as am I). And it did not stay at potency, later I started to “stretch out” the hitherto constant weekly intervals between the individual applications by a few days and longer, and by the end of November even up to three weeks. My subjective experience of autopathy brings – despite the above-mentioned experimentation – also certain unprompted surprises, some more and some less pleasant. Sometimes it is so that one or two days after the application “nothing happens”, or the morning application brings relief and visible positive change, while in the afternoon I feel worse than the day before, but the next day it is put right again. Sometimes I have to say that on the way home late in the evening after a day-long activity and walking, I can walk better than I could the rest of the day. It can be surprising, when at the end of a whole week’s interval after the last application, I sometimes feel unusual energy and feel wonderfully. In the course of the last year, I have managed to change my diet and also my weight – I’d lost certainly 15 kg that I had overweight. I believe that also here, autopathy had played a part. Currently, since December 2017, I have been alternating the dilutions from boiled saliva-breath and after a week breath without boiling, 13 litres each. From my experience of less than two months, I can say that non-boiled breath has been especially effective. Now I am coming to aspects of my experiences with autopathy of no lesser importance, the psychic problems inseparable from the physical ones, thus issues of psychological character. My problem used to be feelings of psychic discomfort – I was troubled by worries, sometimes even fears and anxieties, culminating in passivity and procrastination. I point out that this had not happened on a dramatic scale, nevertheless now and again I had to deal with cognitive and emotional imbalance and disorder and had attempted to get rid of it in various ways, as a rule not very successfully and not completely. After I got rid of my addiction to alcohol in 2008 (currently I have been abstinent already 10 years), much in my psychic condition improved to a large extent. Nevertheless, I still felt that my struggle with the emotions, although of reduced intensity, still continued. Autopathy had entered my life and now I can say that especially in the course of the last year until today I clearly feel that I can deal with emotions and handle them much more successfully than before. The problems with procrastination markedly receded. I have a better command of myself, I am more decisive. Indecision gave way to determination. I can handle better, and in the final result more effectively, worries and also accumulation of problems connected with fulfilling of tasks and duties. More effectively manifests itself also the aid from something that we do not see, but that we feel and mainly that we wish for – the presence and support of intuition. Taking place are even stronger felt and experienced states of certain energetic and spiritual euphoria and knowledge. I would like to point out here that I do not want to overstate the mentioned qualitative changes that I have been experiencing, but they are evidently present and this is most important. And here – I point out – I have not even tried, never mind started using, autopathy from prana or other methods. Autopathy also contributed to a positive change in my opinions and my view of the world – it appears to me in sharper contours and livelier colours in perceiving people, atmospheres and things. Angry feelings and outer manifestations receded. But feelings and experiences of happiness, even if perhaps “only” elementary, became more lasting, fixed and intensive. Within the scope of my environment I strive at continuing to spread amongst the people the message that autopathy can mean a surprisingly easy and effective universal help and strengthening, and this from the materialist health view as well as from the psychological and spiritual one. Not rarely do I meet with surprised, even disbelieving reactions, but now and again I have been successful at winning someone. This too belongs to my experiences, which I plan to extend and to publicly capitalize and which I shared here with you. It is very important for my further activities and I thank you for your understanding and attention.